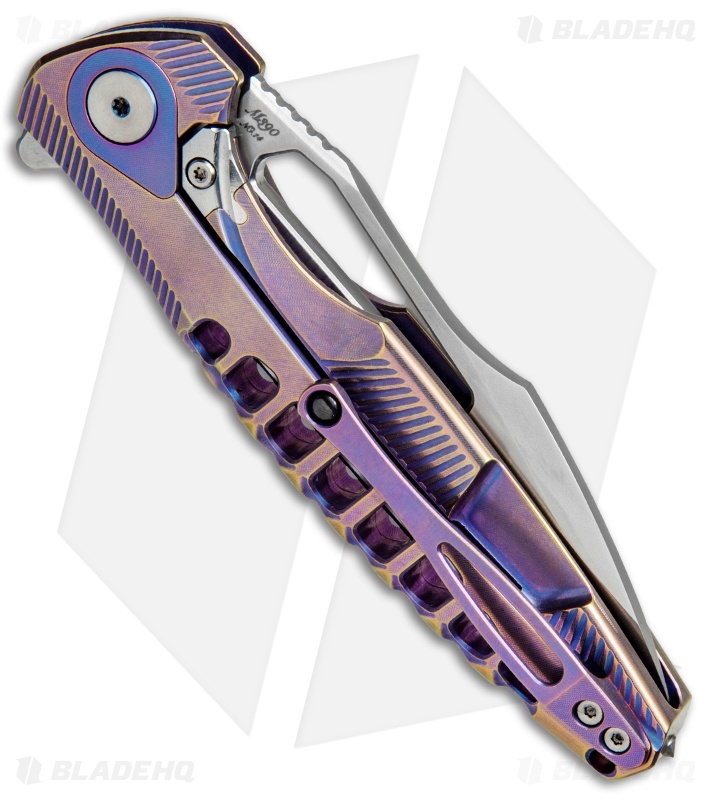 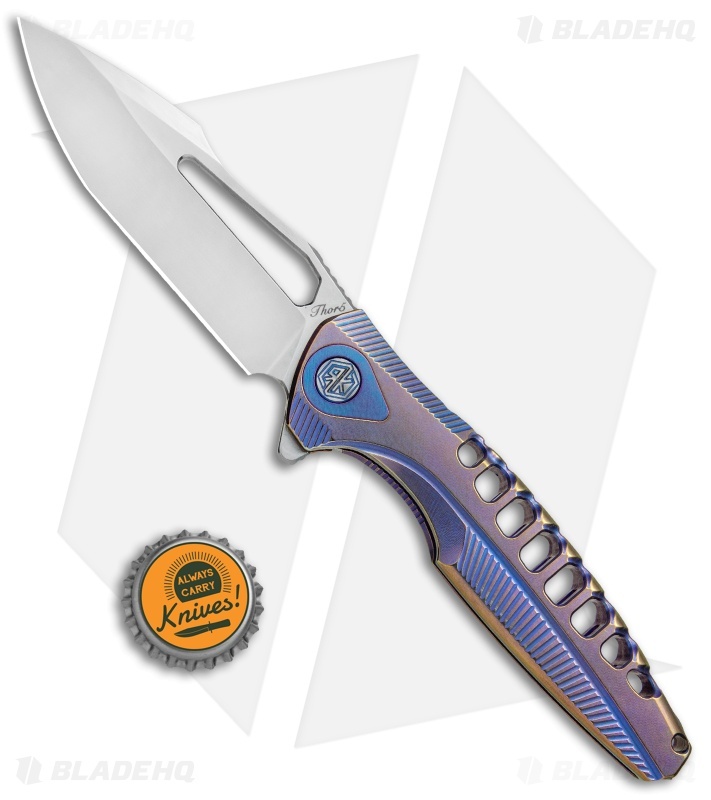 This Thor5 model is outfitted with a blue and purple anodized titanium handle and a satin finished modified drop point blade. Rike has added another great knife to their Thor series with the impressive Thor5. 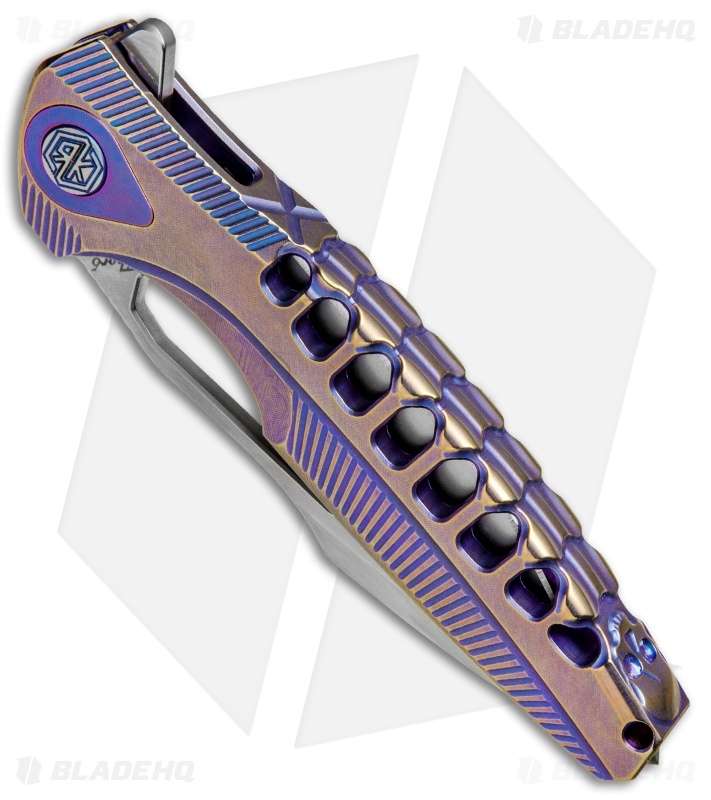 This model offers skeletonized titanium construction, complete with a bone inspired spine and skull machined into the handle. It embodies all of the style and production craftsmanship Rike has founded their reputation on. 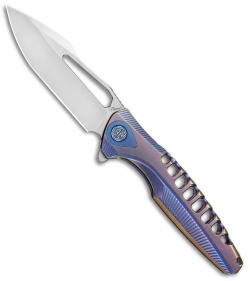 Add a distinctive Rike Knife design to your collection with the Thor5 flipper. Skeletonized titanium frame offers a stylish, lightweight design. Bohler M390 steel provides a tough, high performance cutting edge. 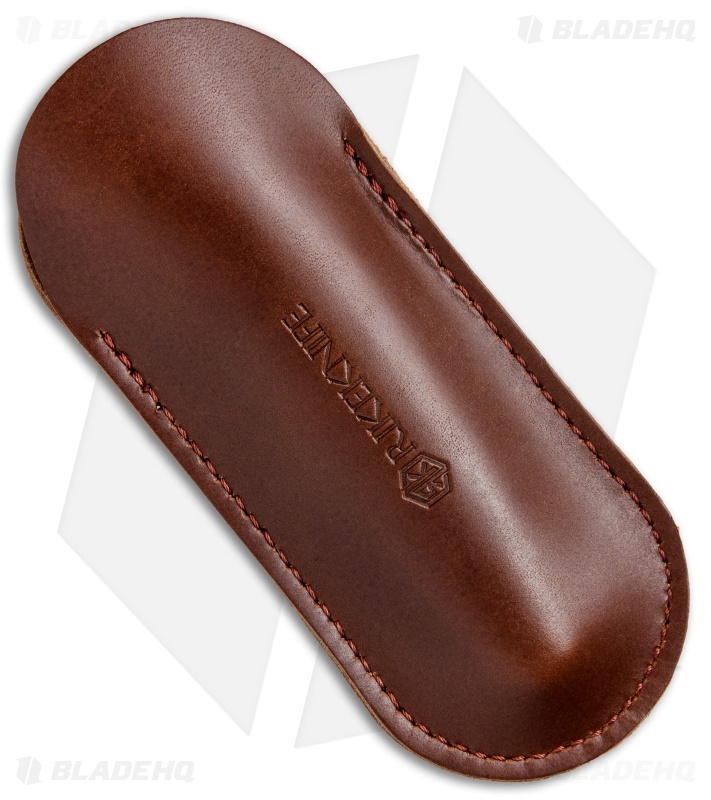 Item includes a tip-up titanium pocket clip with a ball-bearing tip that won't tear up your pants.